This story has been updated with developments from a House Armed Services Committee’s Tactical Air and Land Forces Subcommittee hearing. WASHINGTON — Delivery of the Army’s controversial Warfighter Information Network-Tactical system will come to a halt in order to reboot the service’s entire tactical network so that it can operate against threats emerging on the battlefield. The Army took to the Hill both on the House and Senate side in recent weeks to make a case to shuffle roughly half a billion in funds from the WIN-T program, as well as a few other key network components, and funnel the money into capabilities that will deliver a more survivable, mobile and hardened tactical network. The House Armed Services Committee’s Tactical Air and Land Forces Subcommittee held a hearing Wednesday to question Army officials over its new plans for the network, with Chairman Rep. Michael Turner, R-Ohio, expressing deep skepticism the Army was going to get it right this time. He added he was perplexed as to what changed so dramatically between May — when the budget request was released making the case for nearly a half billion for WIN-T — and now with the Army wanting to curb WIN-T and spend its money elsewhere. Ranking Member Rep. Niki Tsongas added she believed the Army plan was “half-baked” and “overly optimistic” and said she needed to see a much clearer way forward before she could support funding the proposed changes to the network strategy. The service is in a race to adapt its weapons systems and operational equipment to go up against peer adversaries after spending 15 years in Iraq and Afghanistan where it didn’t have to worry about having its network and communications systems detected and jammed and where the repercussions of being seen on the electromagnetic spectrum weren’t assured destruction. As the Army looks to the possibility of having to fight against peer adversaries, particularly as Russia continues to behave aggressively and unpredictably on the Eastern European flank, it is having to rethink how it fights and the tactical network, as it is today, doesn’t make the cut. So Army Chief of Staff Gen. Mark Milley ordered a complete review of the tactical network, which determined, to no surprise, that the network had vulnerabilities and that there was a gap between the rate at which the service was able to modernize the network and the pace of threats emerging from peer adversaries, according to a summary of the network review obtained by Defense News. The Army’s strategy now is to rapidly fix the network by taking funds from the portions of the network that are not working and realigning money to address capability gaps. Also moving forward, the service will establish a new way to quickly procure new technology, breaking free of the normal acquisition process that is so slow, by the time technology makes it into warfighters’ hands in the field, it’s considered old. The service identified, in its review, that it needs a new path for command post capability to ensure they are survivable and mobile. 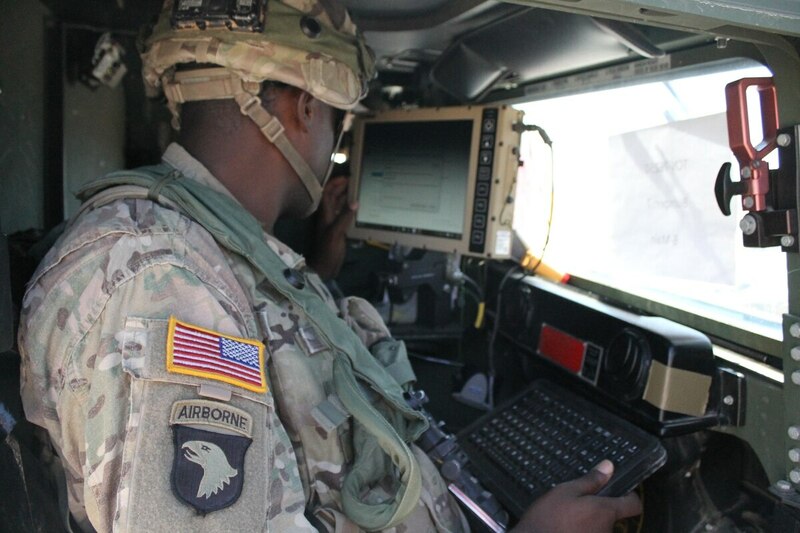 The Army also recognizes it needs to take steps to integrate the tactical internet into a unified layer at upper and lower echelons, which will increase survivability against electronic warfare attacks. Additionally, the Army will deliver a common operating environment through a unified mission command suite of systems and applications and will improve joint interoperability through solutions starting in fiscal year 2018. Programs taking an immediate hit in order to free up the cash in FY-18 — a total of $544.9M — to meet the Army’s network goals are the Mid-Tier Network Vehicular Radio (MNVR) and the legacy Command Post of the Future (CPOF). Some industry sources believe the HMS Manpack radio, which has a vehicular-configured version, could be used to fill the MNVR requirement. The Army also plans to halt WIN-T Increment 2 at the end of FY-18, but certain elements and capabilities of the overall WIN-T program will be used and fielded to some formations through FY-21. Over the past year, WIN-T — the backbone of the Army’s tactical network — has been under fire by some lawmakers and praised by others. The House Armed Services Committee proposed faster fielding of WIN-T Inc. 2 while the Senate Armed Services Committee, this year in its policy bill, annihilated WIN-T Inc. 2 funding, cutting $448 million from the program. The move has been seen by some as a mechanism to provoke the Army to make dramatic changes to that aspect of its network. The Army, however, wants to ensure it gets that $448 million, but not for WIN-T. The service provides little detail on how it will reinvest $545 million in FY-18 taken from tactical network programs not aligned with its new modernization approach, but states it will reinvest $413.8 million in programs that meet operational needs to “fight tonight,” according to the document, and $131.1 million toward an “adapt-and-buy” modernization approach. Continuing across the FY-19 through -23 time frame, the Army will put a stop to another $2.3 billion in investments in tactical network programs that don’t meet the new approach, reinvesting in future capabilities to improve systems and its adapt-and-buy modernization approach. Immediately, the Army plans to take $114 million in FY-17 funding and procure approximately six Brigade Combat Teams worth of Tactical Communications Node-Lite (TCN-Lite) — essentially WIN-T on a Humvee — and the Network Operations and Security Center-Lite (NOSC-L) — both tested at the Network Integration Evaluation this summer with good feedback from the unit conducting the evaluation. WIN-T’s fielding began nearly 16 years ago and is currently fielded to nearly 97 percent of the Army and the reserves, therefore, critical WIN-T capability will still be used, according to the document. For instance, the WIN-T systems that work at-the-halt provide an IP-based network that the Army sees a need for into the future. WIN-T Inc 2. fielding to active Infantry Brigade Combat Teams and Stryker BCTs will be finished in FY-21 and will enter sustainment and Armored BCTs and Army National Guard units will keep WIN-T Inc. 1 and transition to sustainment once fielding is complete. The WIN-T elements that are here to stay will be improved through efforts to reduce system complexity, hardening it against cyber threats and redesigning it to increase mobility. Rep. Tom O’Halleran said he felt the network strategy was more of a concept than a plan and asked Army representatives at the hearing when Congress could expect to see a real plan showing a clear way forward. Lt. Gen. Bruce Crawford, the Army’s chief information officer, said, “What we owe back to you ... is the details of an execution plan. What we have laid out for you to date is the recognition is that we’ve got a real problem in our formations in our army today. He added the reason the Army is moving so rapidly to fix the network’s problems is because it needs to be able to “fight tonight” and the current capability doesn’t get the job done.